YOU'RE READING Do you know how many liquid calories your favourite drink contains? For many, summer is a time to celebrate, relax and indulge in all things nice. We deserve it for surviving or thriving during the year, right? While most of us think twice before eating that extra mince pie or plating up a second serving of potato salad, we tend to give less thought to the calories beverages contribute during this time of the year. Before you sit back and open a cold beer, enjoy a glass of wine over dinner with friends or sip on a cool drink while preparing dinner, consider that there can be just as many calories in what we drink as there are in what we eat. 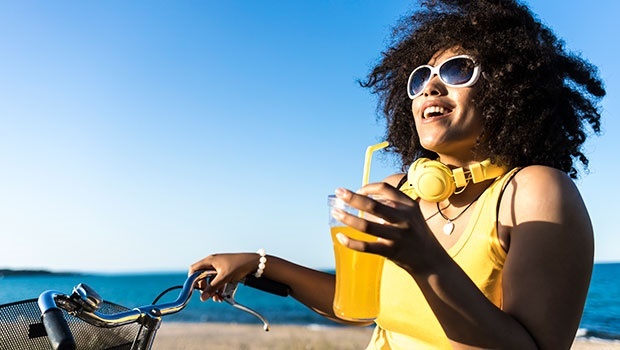 “It’s important to understand the labels on drinks so that you know exactly what you’re consuming and what they contribute towards your daily energy intake,” explains Nestlé’s Nutrition, Health and Wellness Manager Naazneen Sali-Ameen. “The trick is to learn to be clever about your choices. Spoil yourself on those special occasions and choose better-for-you, lower calorie options whenever you can,” says Naazneen. 1. Skip the cappuccino and order a filter coffee or americano with a splash of milk and cut back on added sugar. 2. Where possible, dilute your juices or cool drinks with water or soda water to get the calorie count down a bit. 3. Make your own smoothies using unsweetened green tea rather than fruit juice. Avoid all-fruit smoothies as they are high in natural sugars and lack the protein and healthy fats required to leave you feeling satisfied for longer. 4. Feel like a glass of wine? Opt for a wine spritzer and enjoy with lots of ice to help dilute your drink. 5. If it’s a cold day, opt for drinking black rooibos tea or hot water and lemon. When you want a treat, opt for a splash of milk in your hot chocolate drinks. Read more: Are you allergic to alcohol? Another great way to combat the additional calories consumed over the festive period is to keep active. At the coast? Enjoy long walks on the beach. Playing beach ball or Frisbee with the kids is also great fun while getting in some exercise. Go for a swim. Swimming is a great non-impact activity and it can also help you beat the heat. Get out into nature. Going for a hike or visiting national parks is a perfect way to explore and burn off some extra energy. Dancing is always fun. Events such as office parties or New Year’s Eve are great excuses to get out on the dance floor. How to work out calories when people talk about kilojoules? One calorie equals 4 kilojoules rounded off to the nearest whole number). 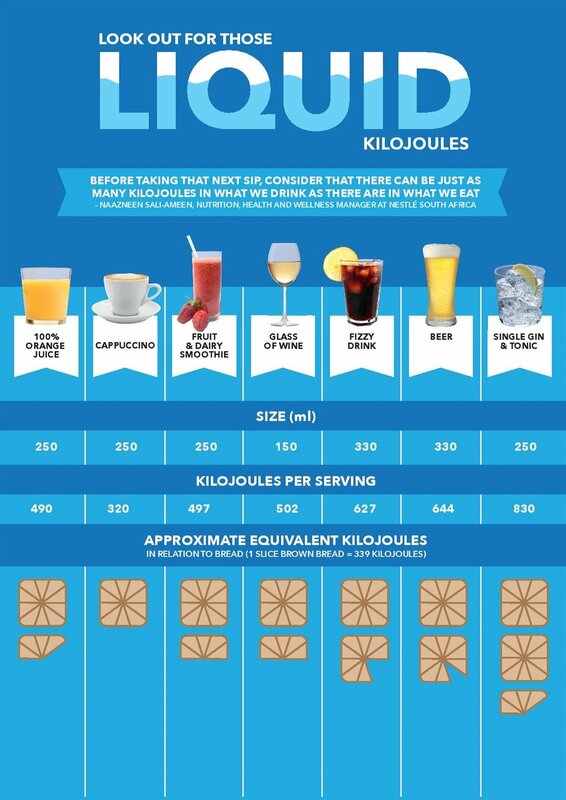 So if you see a label with kilojoules, divide the number by 4 to get your calorie count.